I always love it when I get to the painting part of an interior project. Probably because I HATE doing the drywall work so much. When you finally get to slap some paint up, you know that most of the tedious stuff is almost behind you, so you can get to the really fun decorating parts soon! I do like the color of curtains you chose. They are very similar to the ones that I have in my bedroom. And your newest spider addition is wonderful! Love the color combos you chose for this one! 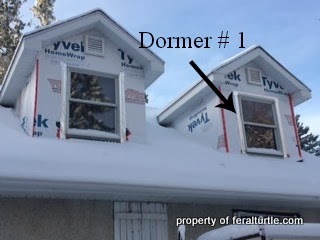 I just went back and read your dormer adventure, wow, what a great amount of work you all have put into this space! It's looking wonderful. I can't wait to see the ceiling tiles up! Oh, it already looks like a room. A few coats of paint and you can decorate! Yay for hanging on to your heat and your money! Just looking at that dry wall made me sneeze again! I love those ceiling tiles and will be interested to see that post! Your spider is lovely! 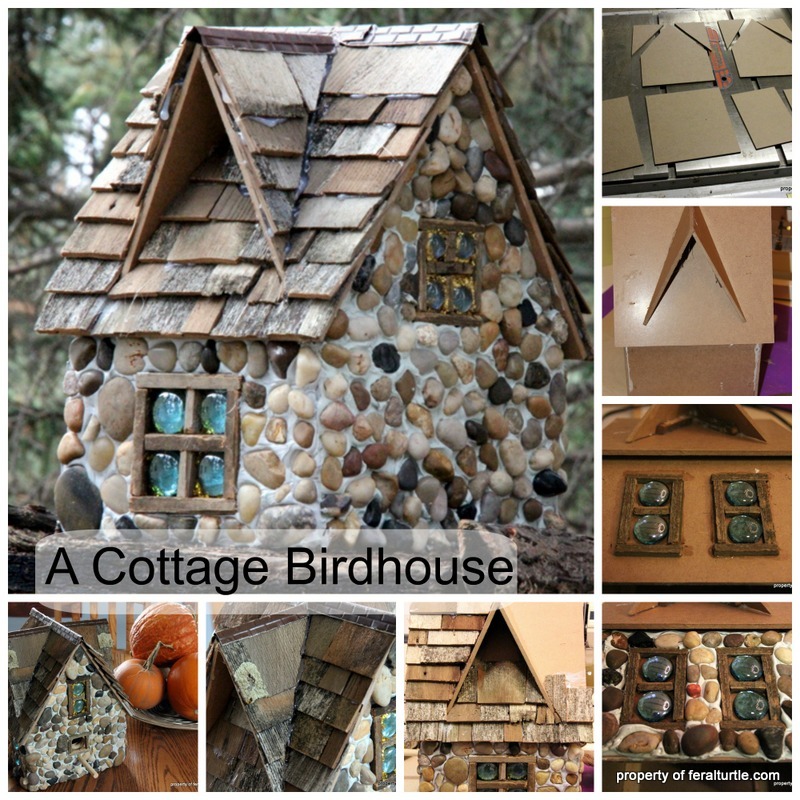 I just had a big shiver thinking about no insulation on your exterior walls. Brrrrrr. So glad you are going to be nice and toasty. I love the ceiling tiles!!! Love the spider!!! It's looking great! I love those ceiling tiles- that will look awesome! It's already looking great! I love the angles in the room, so much character! Once you paint it and install those pretty tiles the only thing left is decor, yay! ;) Love your newest addition! It's looking really great! We live in a 120 year old double yellow brick house that has no insulation in the plaster and lath walls whatsoever, so I know of what you speak. Our attic is insulated though so that helps a lot. I've been contemplating using some of those glue up faux tin ceiling tiles in a few rooms but have never gotten around to it, so I'll be really interested to see how installing them goes for you. I love the pattern, and I'm sure they'll look awesome! Ooooohhhh...it's really coming together! And so glad you had that cute little spider to supervise! I know you have been so patient, but it is looking SO good. I'm excited for you to have a new space! J'ai aimé ton post , bon courage por les travaux, ca va être superbe ! très bon week-end à toi ! Wow, major home renovation! That is going to be really cool. I've never had a house with dormers, but have always dreamed of one. It just doesn't quite fit the Southwest home style, however!